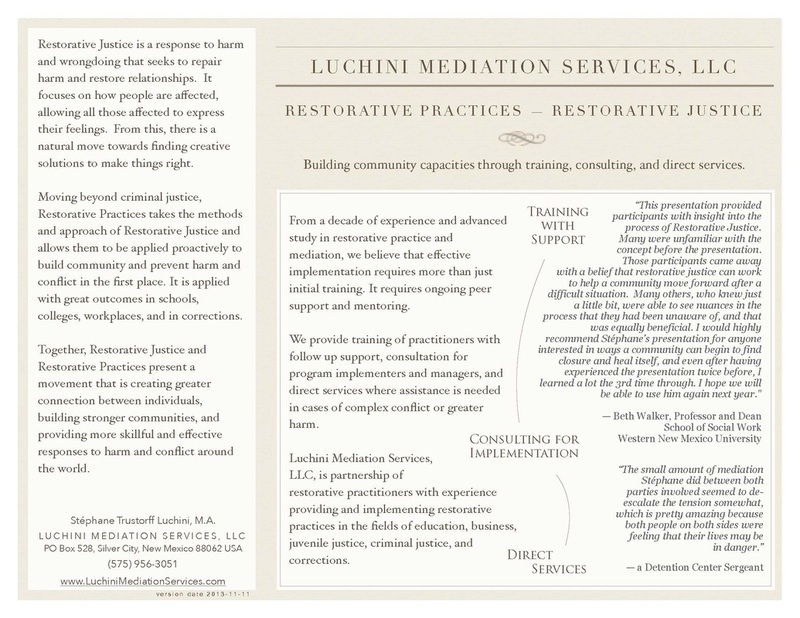 Luchini Mediation Services, LLC provides mediation services in the domains of restorative justice, schools, family, and workplace. Services now include an integrated approach to capacity building for institutions and business using training, consulting, and direct services to implement restorative practices. Click on the image below for a copy of the brochure.